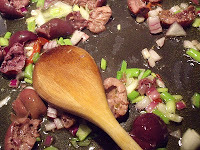 what's cooking in my tuscan kitchen: if you have tuna, olives and onions - you have a gourmet meal! 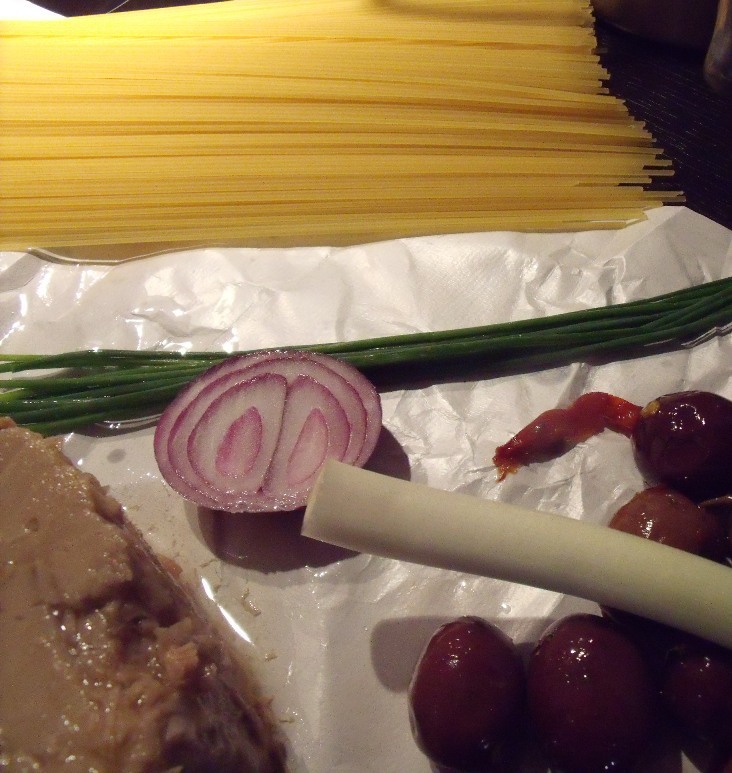 if you have tuna, olives and onions - you have a gourmet meal! 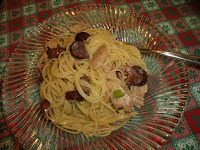 I really wasn't going to blog today - but this pasta and tuna dish that I made for Antonio and myself is so quick, so easy, so delicious that I just could not resist documenting it! It is literally a 10 minute dish! Chop the onions and chives. Put 2 T of extra virgin olive oil in a large fry pan and start to sauté the onions and olives over medium heat. 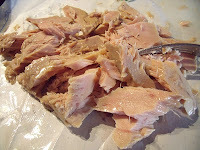 In the meantime, flake the tuna and add it to the pan. You can put in a splash of dry white wine at this point. I did! Your water will be boiling so put the pasta in to cook. Don't overcook it! 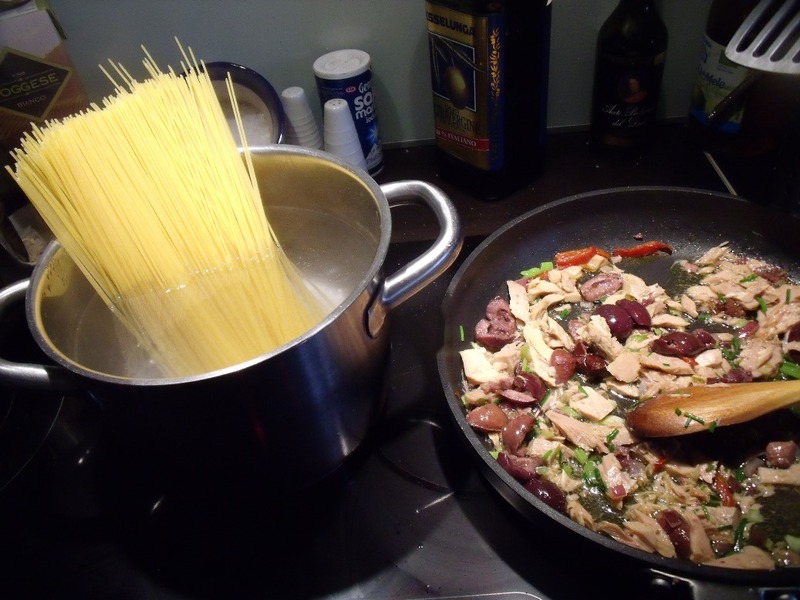 When the pasta is cooked the way you like, remove it from the water directly to the fry pan with a pasta fork. This way some of the cooking water goes with it so your pasta will not be too dry. 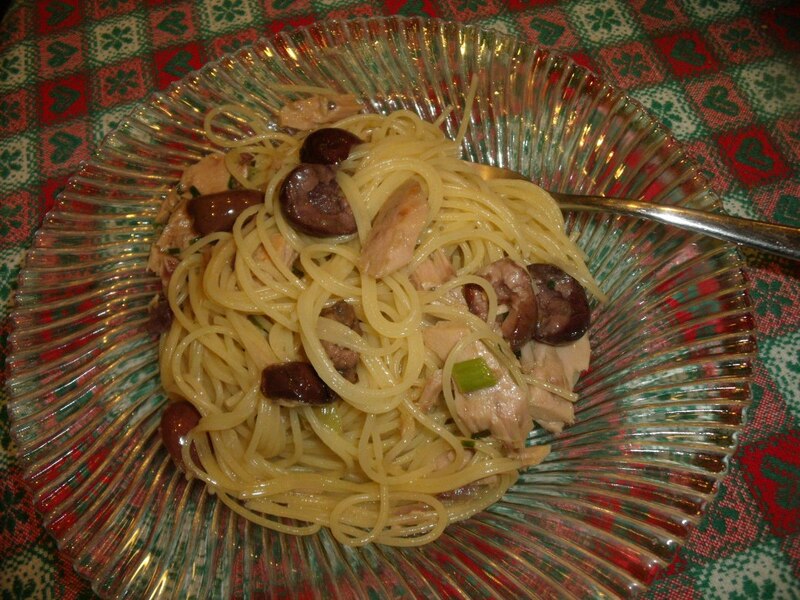 If you don't have a pasta fork, you can drain it in a colander and keep some of the cooking water to add to the pan. Now "salta" the spaghetti to coat with the tuna sauce. That's all there is to it! 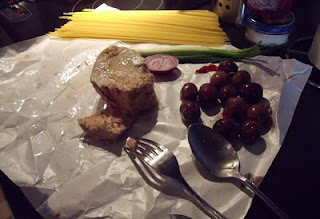 So remember, if you have tuna, olives and onions in your pantry.. you have a gourmet dish in the making! Our version of tuna souce is only with capern, same procedure and then a little bit of good tuscanian oil and dark pepper on it, enjoy! Hey Donna, I was inpsired by your tuna and green olive recipe. Wanted to share a link to this super easy one pot meal that is keeping me going at this point (will update you in email) http://sweetveg-e.blogspot.com/2011/05/one-pot-mediterranean-pasta.html. Thanks for the inspiration...I hope you like it! love your version.. left a comment!